I've been getting more into haircare lately especially since my hair has been getting much longer, I certainly do NOT wake up all beautiful and put together. My hair is naturally pretty thick and it probably didn't help that I did balayage on it..twice in the past year. It's gone through quite some damage but fortunately for me, I've found some pretty amazing products to help it. Keratin Complex's Glowtion Potion conditions and softens my hair, while their dryer and straightening iron keeps my hair smooth and straight. 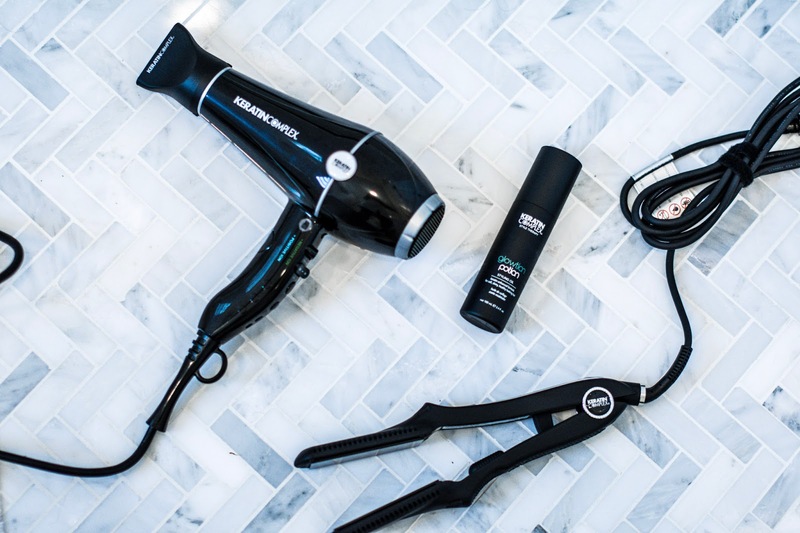 The hair dryer is probably the best I've ever had--the noise is much lower in volume and actually dries my hair while taking away all of the fizz. The hair straightener solidifies that job--it's super sleek and smooth and straightens my hair so quickly. For anyone who's looking for an upgrade to your hot tools, I definitely recommend Keratin Complex! If any of you have more questions, feel free to reach out!